collectSPACE - news - "NASA names ten new flight directors"
January 19, 2001 — The Mission Operations Directorate at NASA's Johnson Space Center in Houston, Texas has named 10 new flight directors. It is the largest such class ever selected and brings to 28 the total number of current U.S. flight directors. "Such a large class was needed to support around the clock operation of the International Space Station," said Jeffrey Bantle, chief of the Flight Director Office. "The first flight director, Chris Kraft, was selected during the Mercury era. Since that time, only 48 men and women have served as flight directors throughout the history of U.S. human space flight." The selection process began in June. "There were many outstanding people to choose from, which made the selection process most difficult," Bantle said. "But it did remind me of the great talent, among both civil servants and contractors, in the Missions Operations Directorate, the Johnson Space Center and NASA." Flight directors manage the controllers who work in the Mission Control Center, and has overall responsibility for the successful execution of space flights. Directors also lead and orchestrates planning and integration activities with controllers, payload customers, International Space Station partners and others. All of the 10 new flight directors have previously served as controllers. One works for a Canadian Space Agency contractor and another, the first director from the ranks of station controllers, is employed by a NASA contractor. Matthew Abbott is from Williamsville, N.Y., near Buffalo. He graduated from Texas A&M University in 1985 with a BS in aerospace engineering. Abbott began work in the Mission Operations Directorate as a co-op in 1983. He was a flight controller before leaving in 1997 to work for Booz-Allen & Hamilton. He most recently worked for Calian Technology Ltd. at the Canadian Space Agency in Montreal. Anthony J. Ceccacci, a native of Eastpointe, Mich., near Detroit, graduated from Saginaw Valley State College (now Saginaw Valley State University) with a BS in mechanical engineering in 1979. He has been at Johnson Space Center for 20 years as a flight controller. 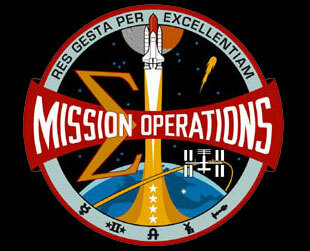 He most recently was chief of the Guidance and Propulsion Branch of Mission Operations. Annette P. Hasbrook calls Clear Lake City, Texas, home. She graduated from the University of Notre Dame with a BS in mechanical engineering in 1985. She has been at Johnson Space Center since 1987, working with the Payloads team. Most recently she served as a group lead for Payloads, working as a flight controller in the Space Shuttle Flight Control Room. Derek Hassmann of San Antonio, Texas, graduated from the University of Texas at Austin in 1988 with a BS in mechanical engineering. He has worked in Mission Operations since 1990 as a contractor employee. He is an employee of United Space Alliance, and the first flight director to be selected from the ranks of space station flight controllers. Norman D. Knight's hometown is Pearland, Texas, though his parents now live in the Detroit area. He is a 1990 graduate of Embry-Riddle Aeronautical University in Prescott, Ariz., with a BS in aeronautical engineering. He came to Johnson Space Center as a co-op in 1988, working in the Systems Development Division. He has worked in Mission Operations since then, and most recently served as lead in the Booster Systems Group. Catherine A. Koerner calls Schaumburg, Ill., her hometown — her father is the mayor. She holds two degrees from the University of Illinois (Urbana-Champaign), a BS awarded in 1987 and a 1989 MS, both in aeronautical and astronautical engineering. She joined the Propulsion Operations Group as a flight controller in 1991. Bryan Lunney is from Friendswood, Texas, and a 1988 graduate of Texas A&M with a BS in aerospace engineering. He came to Johnson Space Center after graduation and worked in propulsion before moving to the Motion Control Systems Group (a space station position) as a group lead. John A. McCullough is originally from Brunswick, Ohio, near Cleveland. He holds a 1989 aerospace engineering degree from the University of Cincinnati. He has been at NASA since shortly after he graduated. Joel R. Montalbano has been at the Johnson Space Center for the past 12 years. Montalbano has spent considerable time in Russia as a key leader in forging a relationship with the Russians for International Space Station Operations. He is a 1988 graduate of Iowa State University with a BS in aerospace engineering. Steven Stich is from Corpus Christi, Texas, and a 1987 graduate of Texas A&M with a BS in aerospace engineering. He came to Johnson Space Center 13 years ago to work in Flight Design and Dynamics. Stich has served as the Group Lead for the Ascent and Entry Flight Dynamics Officers (FDO) for the past few years, and led the Orbit Flight Dynamics Officers teams before that. The flight director class of 1983 with eight members had been the largest before selection of the class of 2000. © 2018 collectSPACE.com All rights reserved.